The security threat posed by insiders is often underestimated. According to an IBM study, 32% of attackers are insiders and 24% are “inadvertent actors” (e.g. people making mistakes that lead to a system breach or incorrect behavior.) One such class of insider attack is malicious code added during development that allows for future exploitation. Advanced static analysis tools can detect these within source during development as well as binary code before it gets deployed. In addition to existing detection for security vulnerabilities, this post also talks about specific security vulnerability checks to detect certain insider attacks. Insiders are people working inside the secure perimeter either as users, developers or other trusted personnel. The big difference from regular cyber-attacks is the attacker is an individual who has explicit permission to access a device or system. The attack surface for insiders is larger than for outsiders. 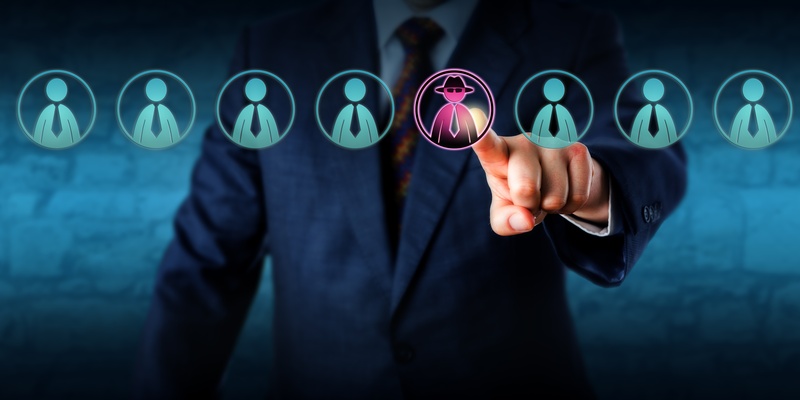 According to the SEI, 21% of electronic crime was perpetrated by insiders and 43% of respondents to their survey had experienced at least one insider attack. Advanced static analysis tools can detect different classes of security vulnerabilities such as buffer, numeric and stack overflows, command injection, and use of insecure library functions. The tools can also trace data flow from outside sources to the vulnerable code (tainted data analysis), which leads to a verifiable attack vector. These types of vulnerabilities can be written intentionally and concealed so that they are undetected during development, so that an attacker can use them in a later exploit. A priori knowledge of these vulnerabilities would be a special case of a zero-day exploit known only to the insider. Therefore, it’s important to detect and remove these types of vulnerabilities through proper security measures throughout the software development life cycle, something discussed in a previous post. CodeSonar's binary code analysis technology is capable of analyzing stripped optimized executables; it can find roughly the same classes of defects that can be found in the source code. CodeSonar’s new integrated analysis is capable of analyzing source and binaries simultaneously. This is useful in cases where you have source code for most of the project, but only binary libraries for some components. GrammaTech CodeSonar provides additional malicious code detection for detecting dangerous process creation, use of chroot, and possible time bombs.. Process creation is always potentially dangerous, especially if it is possible to manipulate the process name or its parameters (this would amount to a command injection vulnerability.) CodeSonar detects untrusted process by detecting calls that create processes and checking the process name against a whitelist (known acceptable processes) or blacklist (potentially dangerous processes.) These lists are configurable but the default blacklist includes well known, potentially dangerous commands. The example below produces a warning with the shell (sh) command but not with “myprocess” which isn’t in the blacklist. Issuing the chroot() (change process root directory) Unix/Linux function is potentially dangerous if malicious code can exploit the situation to access files in other parts of the system. A best practice is to issue the chdir() (change current process directory) command right before or after chroot(). In the example below, there is no warning raised when chdir() isn’t successful, and the process is aborted. However, later in the code a warning is issued because the call to chdir() is dependent on a check of the variable fname. Time bombs are possible in code that uses and checks for time values from the system clock. Reasonable checks for time are acceptable but code that doesn’t use a value relative to the current time, such as a hardcoded value may be “waiting” for a specific time and date to execute malicious code. In the example below, the code that isn’t checking time against a retrieved from the time() system call is suspicious and flagged. Like what you read? Download our white paper "A New Era of Software Forensics with Static Analysis" to learn more.